Sometimes DIY projects are a way of making something you might not otherwise be able to (easily) find. Sometimes they’re a way to get what you want for cheaper. Sometimes, if you’re lucky, you’ll find a project idea that gives you both. This is one of those ideas. There are a lot of dog collars out there. But they’re often not that cute, not that interesting, and not worth the $20-$30 price tag. If you only got to wear one piece of clothing everyday, wouldn’t you want it to be cute and interesting? Gorgeous fabric, on the other hand, is much easier to find. That is, ever since Patch opened its doors in Halifax a few years ago. You’ll also need fabric scissors (or, as I prefer, a rotary cutter and cutting mat – it makes it so much easier to get your piece of fabric nice and straight), a measuring tape, an iron, and an ironing board. 1. 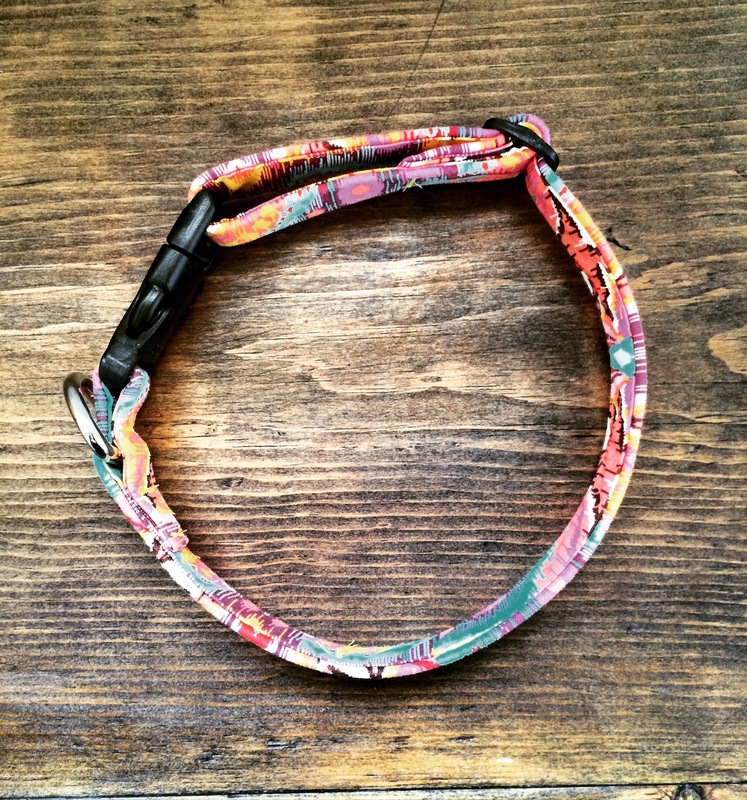 Measure one of your dog’s old collars (from the inside of one buckle to the other). This measurement is what I’ll refer to as your “finished collar size”. 3. Fold the strip of fabric in half length-wise and iron. Then open it up, and fold each of the long, raw edges towards the center. Iron again. 4. Cut the cotton webbing so it is slightly shorter than the strip of fabric. Insert the cotton webbing inside of the fabric strip, to the left of the center fold. Then fold the right half of the fabric strip over the left half, so the folded edge of the right half is now on the outside edge on the left. 5. Stitch all the way around the outside of the strip, about 1/8-inch from the edge. At each end of the strip, fold the fabric neatly over the end of the cotton webbing and stitch over it, back and forth a couple of times to reinforce the stitching. 6. You now have a long fabric-covered strip that will form the base of your collar. I will refer to the side of the strip that has the folded-over fabric on it (facing upwards above) as the “bottom” of your strip. 8. Fold the end of the strip over, so that the bottom of the strip is facing inwards, and using a narrow zig zag stitch, stitch back and forth across the end of the strip to secure it. Then, using a regular stitch, do one straight line across as close to the tri-glide clip as possible, just to prevent your tri-glide clip from sliding around. 9. Next, pull the other end of the strip through the lower space on the “male” end of the parachute clip, with the prongs of the clip on the top side of the strip. 10. Pull the same end of the strip through the tri-glide clip. 11. Next, put the D-ring on, followed by the “female” end of the parachute clip, with the bulk of the parachute clip piece at the top side of the strip. 12. Fold the end of the strip over, with the bottom of the strip facing inwards, so that the D-ring and the parachute clip piece are both inside of the small space formed at the end. 13. Once again, use a narrow zig zag stitch to stitch back and forth across the end of the strip to secure it. 14. Slide the D-ring towards your stitches, and do another zig-zag stitch between the D-ring and the parachute clip. 15. If you can, slide the D-ring back towards your second row of stitches, and do a third row of stitches on the other side, to create a nice tight space for the D-ring. 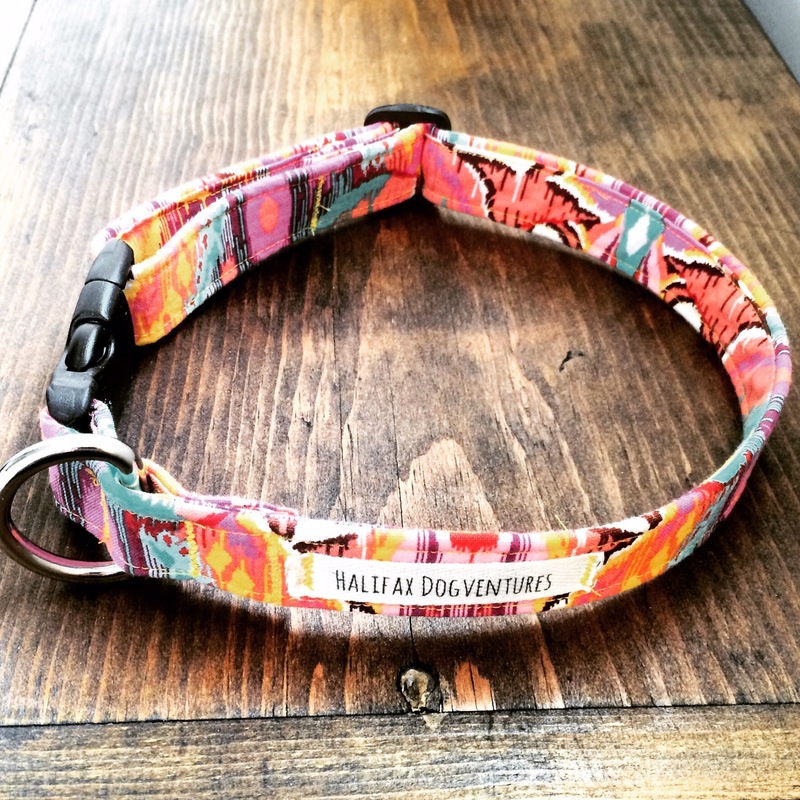 Just think… you can now make a dog collar using any fabric, for any occasion… And your dog will definitely have the cutest, most unique collars on the block. Will your basic sewing machine sew though the cotton nylon? The machine has plenty of power. It’s the needle that must be considered. I suggest a denim or jeans needle. Very nice tutorial. I made one today and it turned out great. Two things that might help others is that I used Jeans needle in my machine. These are really strong needles and that is important when sewing through webbing and fabric. Also, I used my walking foot which made a huge difference. I’m excited to try this! 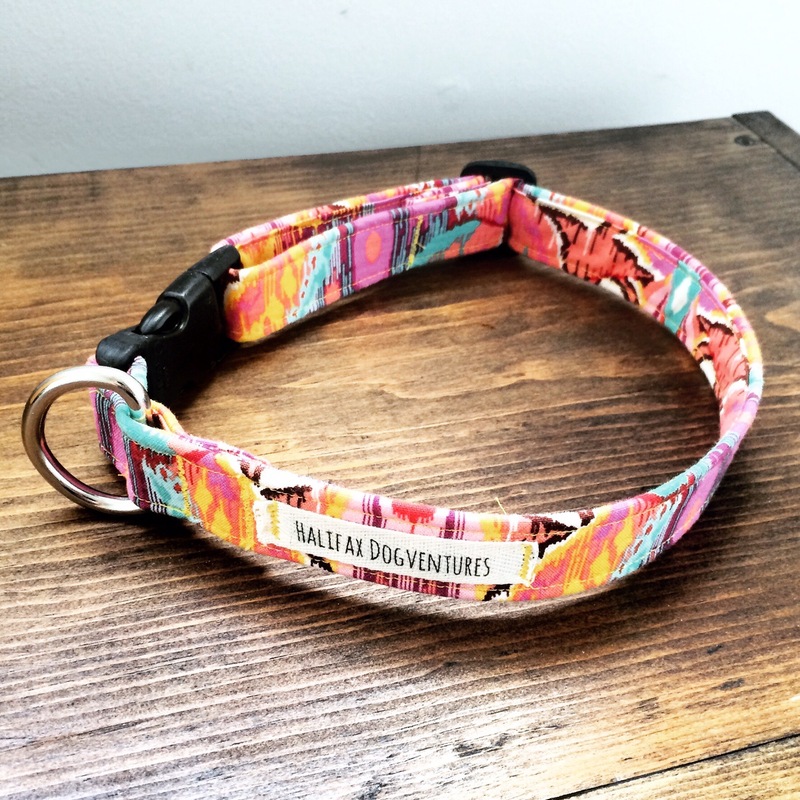 When you’re measuring for the finished collar size do you measure with the collar as large as it will go or adjusted to the size your pet needs? I measure to the size my pet needs. Hope this helps. 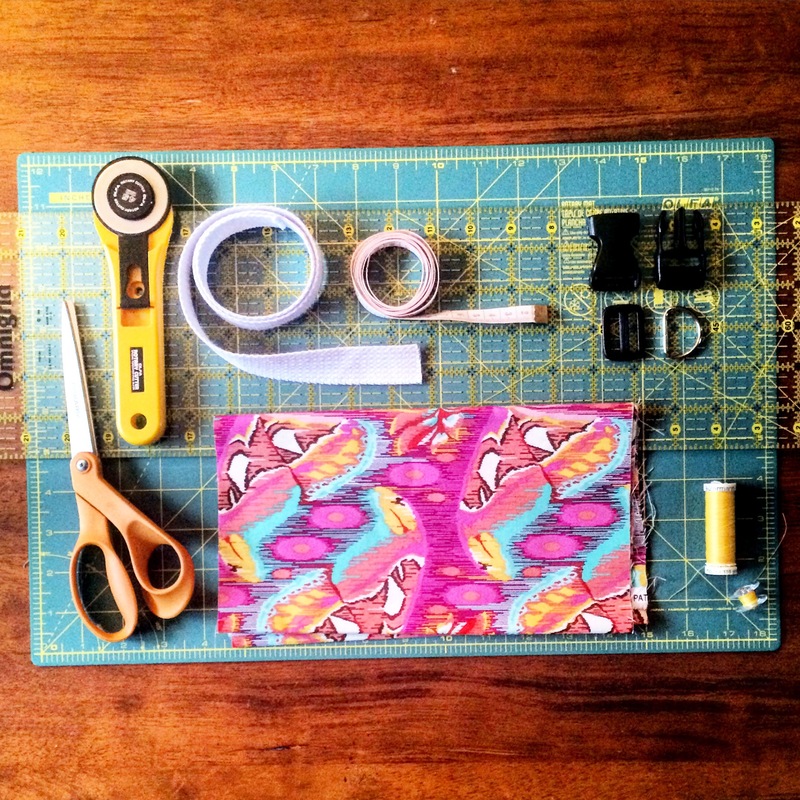 I think I could make myself some awfully cute belts with your directions–what do you think? Thank you for this post. Directions were easy and I appreciated the pictures as well. I’m more of a visual person so pictures are perfect. I successfully made my dog a collar and ready to make more. Thank you for this tutorial. I just got a puppy and I have scrap fabric that I am want to use for a collar. Thank you for posting your directions! I just got a new puppy and I’m inspired to make him one. If it turns out nice I’ll have to make more for his play date friends. I absolutely love the tutorial! I was actually making these a long time ago and needed a refresher tutural and yours is perfect! I also have some lovely labels coming too! Thank you for sharing! I love your tutorial! It has inspired me and I feel confident that I can complete this task! Yay Dottie gonna have a new collar!! So excited to try this! If I use fleece do I still follow the same measurements. Wasn’t sure if a different fabric would be different. Thanks for the great tutorial! So I followed the measurements of the length of fabric, adding 15″ to the final length of the collar, and it was too big. Do I actually add 15 more inches? Hi Erin, I am sorry to hear it didn’t work out. For my dog, who has a finished collar size of 22″, adding 15″ for a total fabric length of 37″ results in a good-sized collar which lots of space for adjustments up or down. I suppose with a smaller collar, adding 15″ may result in a collar that is too big, even with adjustments. Thanks to your comment, I am going to revise my instructions a bit to make this more clear. What is the width of the nylon webbing?? Was thinking it looked like an inch?? Hi Christine, thanks for your comment! You are correct – the webbing in this tutorial is one-inch in width. I use 3/4-inch webbing for smaller-sized collars, although the hardware is not quite as easy to find. How much did the plastic parts and D ring cost you? Hi Madison, approximately $2 to $3 per collar.